Alpinists climb very high. Climbers look like they climb rocks without any safety tools. Cavers conquer caves, pits and other underground holes. I’m not that brave. 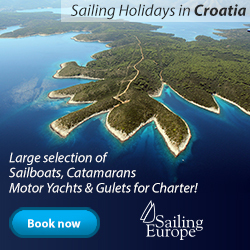 Until now I’ve visited only a few Croatian mountains with excursion division. That is for those who enjoy walking and sightseeing. It was wonderful to experience the mountains. You are surrounded by pure nature, breathing in the fresh air, beautiful views exchanging by each step. After you start walking up, time goes by so fast. You are already on the top looking down where you started, looong way down. That feeling of accomplishment cannot be measured with anything. That’s why they often say that mountaineering is a way of life. Mountaineering involves long hours of walking so you should be in good physical condition. If you are not ready, you can take easier trips. Choose the path with less demanding climb which can last up to two hours. Before you go on a mountain, check your physical condition. Test it by walking through the town for a duration of up to three hours. Next step is to choose the destination, the goal. What do you want to visit? The top of the mountain, the lake, waterfalls,…? Depending on where you are going and in which time period, your trip can also depend on the route of mountaineering shelters. These shelters will be your break points on the trip. If you are taking a multiple days excursion, you can spend the night in a mountain home. Watch your step while walking on a mountain path. Be careful not to trip over tree roots or rocks or stepping into mud. If you see anything interesting, stop and take a pic, but don’t separate from the group. Don’t leave any trails in nature. Don’t pick flowers. It belongs to nature. Bring home only memories and photos. Take a break every hour for few minutes while climbing. After 2-3 hours of walking take a longer break. Pack your own equipment and food. Otherwise, you won’t know where is what. Watch out for the weight of the backpack because you will have to carry it up and down the mountain. There are rules of behaviour on the mountain. Always care for and protect the nature. It is the reason you experience these beautiful views. Don’t leave anything behind you, like garbage, for example. Don’t move any rocks that can jeopardise life of people or animals. Don’t start a fire in the woods or near it. Always keep in mind that will be other mountaineers visiting the mountain after you so keep it clean and intact. We don’t say hi to everyone we see on the street while walking through the town. However, it is a custom among mountaineers to greet each other on the mountain. In that way, they are giving the acknowledgement to each other on a successful climb. One of the most important rules is that you don’t go climbing the mountain alone. There is no one to help you in a case of an accident. On the mountain, there is no competition who will climb the top first. This is not a sport. You just need to stop and enjoy the view, nature, and smell the trees, the earth and herbs. None of your friends is interested in walking in nature? You don’t have anyone to go with? Well, you can enrol in the mountaineering courses. I’m sure they have organised trips where you can learn a lot and visit few mountains in the surroundings accompanied by professional guides. 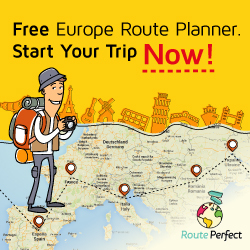 If you are a couple you can plan your romantic trip with RoutePerfect.